Entire workbooks to download (PDFs) for FREE for grades 1-10 for non-commercial purposes. These are good quality, too, and not just machine-made worksheet collections. Some homeschoolers use MEP for a complete curriculum. Includes some interactive materials. 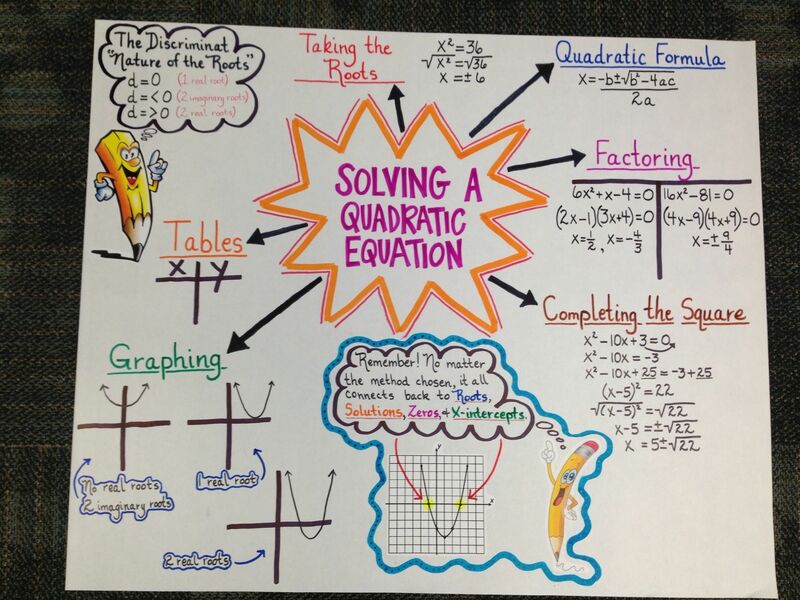 Provided by Centre for Innovation in Mathematics Teaching. Free printable math workbooks that have simple calculation worksheets for grades 1-6. Free interactive online math practice for all kinds of topics, grades 1-6. Complete textbooks for Introductory Mathematics (prealgebra), Introductory Algebra, and Intermediate Algebra that are available for free online reading, evaluation, and even printing. 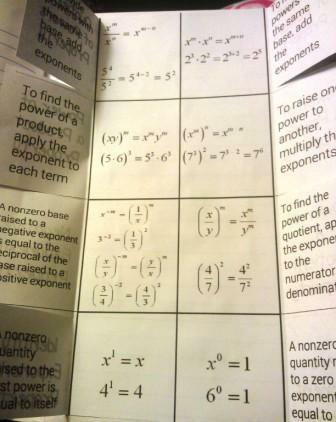 For each section of the book, the website also shows links to corresponding math videos from MathTV.com. A complete algebra textbook (free) by CK-12 Foundation. You can also find lots of algebra videos, texts to read, exercises and more. The website has other subjects also. Lots to explore here. For example, there are worksheets with variable problems meant for review, some for each week of the school year: Week by week essentials, grades K-2, Grades 3-5, and Grades 6-8. Over 100 very nice, compact prealgebra worksheets from the Glencoe Parent and Student Study Guide. The sheets have a short, instructional part that reviews the concept, several problems, and answers upside down in the end of each sheet. Elementary Algebra With Applications - a free math textbook to download or to view online (PDF form). PDF files filled with problems for algebra, integrated high school math, calculus, discrete math, and multivariable calculus. First-Lessons in Arithmetic, Jones Bros., 1878. A free download of an arithmetic book from the past. A complete online algebra text for Algebra I by James W. Brennan. Also a printable version. This is a book about mathematics education. Adding It Up explores how students in pre-K through 8th grade learn mathematics. It explains research findings on what children know about numbers by the time they arrive in pre-K and details the processes by which students acquire proficiency with whole numbers, rational numbers, integers, beginning algebra, geometry, measurement, and probability and statistics. Free video lectures, audio lectures, notes, and ebooks etc. for college level math. Also has material for various sciences. A large online library of short video lessons and quizzes. The videos are recorded by several different tutors, who vary in their methods and teaching styles, so you have the chance to learn the same lesson from several perspectives. This site includes online video lessons and other support materials to accompany Holt Algebra 2 textbook. Click on the Homework help, choose a chapter, and then view the lessons. Mathematics Illuminated is a 13-part, integrated-media resource created for adult learners and high school teachers. The series covers the broad scope of human knowledge through the study of mathematics and its relevance in the world today. It reaches beyond formulas and computations to explore the math of patterns, symmetry, relationships, multiple dimensions, and more, all the while uncovering the secrets and hidden delights of the ever-evolving world of mathematics. This course us videos, online texts, web interactive activities, and group activities. A website featuring short movies that show how algebra or science is used in the real world, plus supplemental activities & lesson plans. On the website you can view the movie clips and activities for free, or purchase a DVD that has them. These are from Charles A. Dana Center at The University of Texas at Austin. The benchmarks describe the content and skills necessary for students on any given grade (K-6), or by strands (K-6 and 7-12). 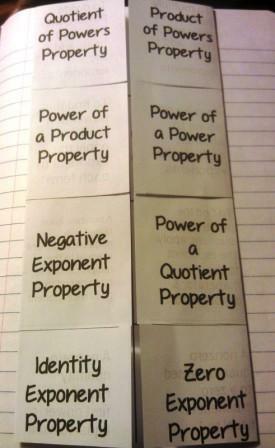 You can use these to have an idea of what topics to cover on any grade. This site contains lots of tips for K-12 math education curriculum goals, and notably the author's view on what math should be studied on each grade level. This site sells low-cost CDs that contain lessons and activities for every national standard benchmark for a particular grade level in math and science. Two 600-page books (1200 pages total) for $25, covering all middle school math, high school math, AND high school English topics. While I was looking around for some resources for upcoming lessons, I decided to check out some other math blogs to see what other teachers are doing these days. While visiting MissCalculate I came across all of these resources. 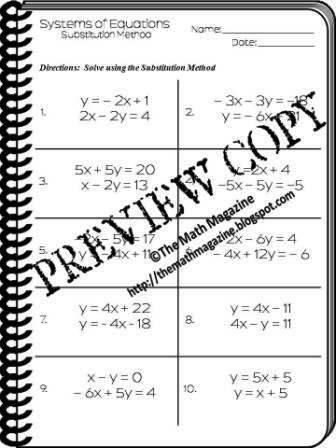 This is a 2 page PDF worksheet that makes a great review for your Linear Equations Unit. 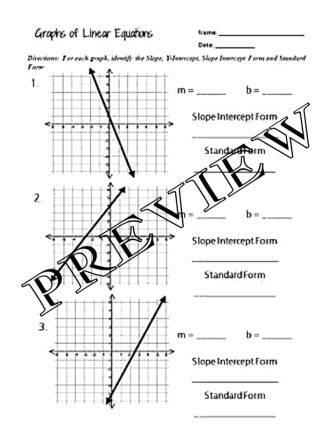 The worksheet provides 6 problems that require the student to use a graphed line to find the “m”, the “b”, the equation of the line in slope intercept form and the equation of the line in standard form.